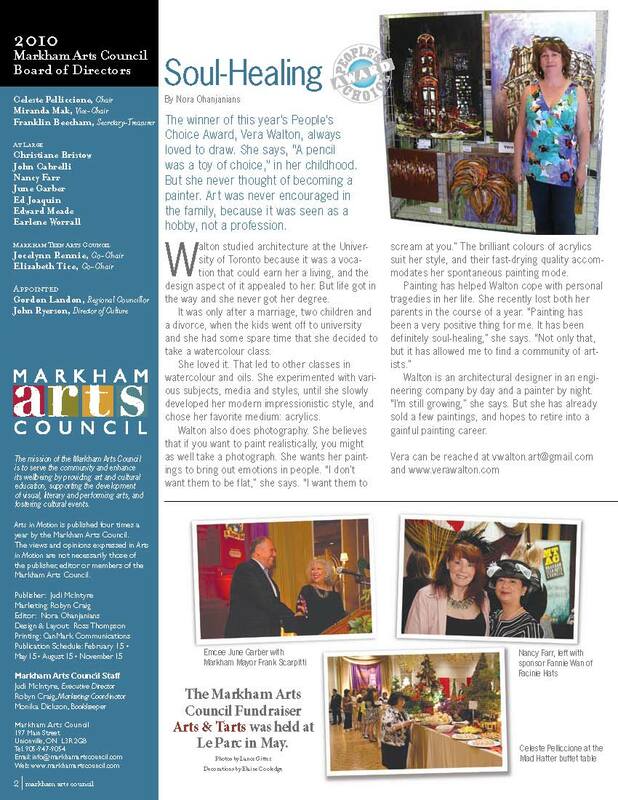 Article in "Arts in Motion"
On Sat. 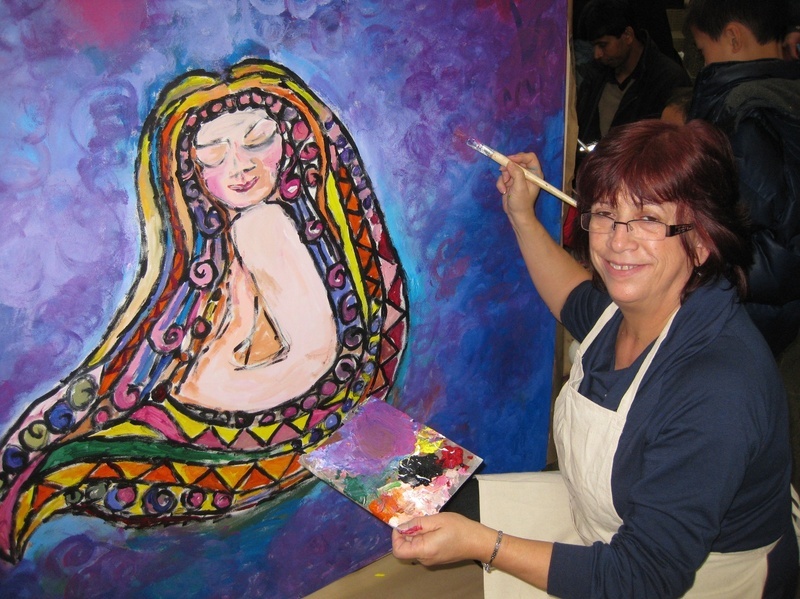 November 27th, 2010, I participated in painting for charity (The Community Food Drive) at Markville Mall. Large canvases were set up for painting and later made into boxes that woulld hold donated food items. Lots of people turned up and all had a blast! Organized by "Paintlounge" it was a great event. The show has moved to a new location - Main Street, Unionville. It was my first time exhibiting at the Heintzman House, and I was impressed with how well organized the show was. The VIP reception on friday evening was great. People arriving to the front entrance of the beautiful historical house were greeted by mounties and volunteers. Throughout the evening, wine and snacks were served and classical music was played by live entertainers The Mayor of Markham and Mp's were present and had some encouraging words for the crowd..